Just like the weather where I am today, the heavens opened on this intimate Spanish elopement, but they have made for some truly romantic and atmospheric portraits by Serafin Castillo. The couple are completely sodden, but are so wrapped up in their vows, each other and the moment they literally don’t care. 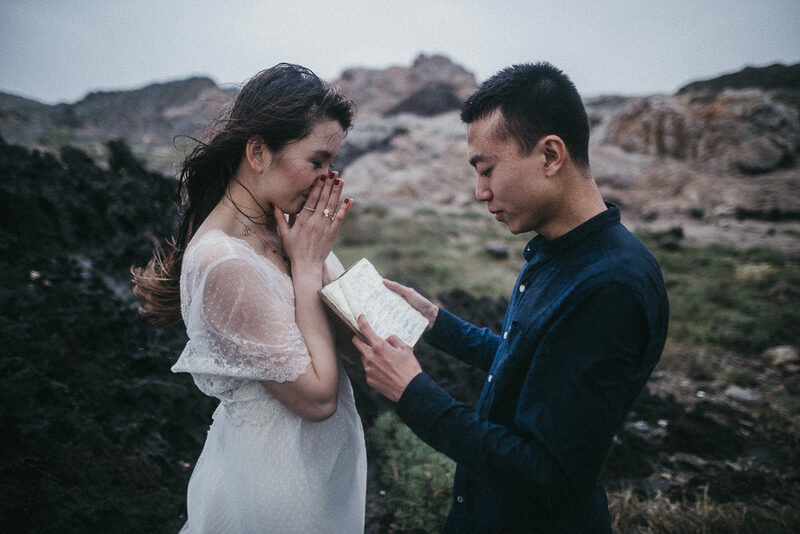 Bride Zijiam couldn’t look more beautiful in a delicate polka dot and lace Immacle gown, with her beau Jingyan wrapping himself around her to protect her from the elements, and because he can. They met at school back in China and have been together ever since. They wanted to have a very intimate and special ceremony before traveling to China for their traditional wedding. 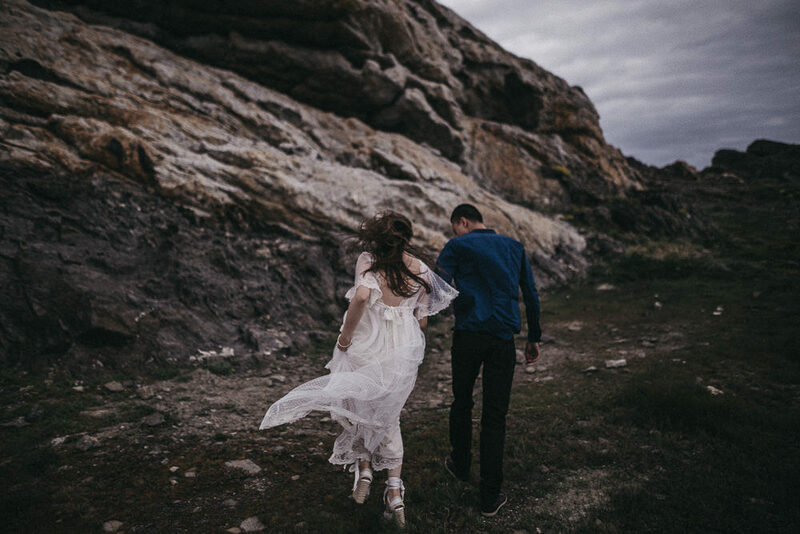 They decided to organize their elopement in the north of Catalonia, precisely in the park of Cab de Creus, an incredible place near the border with France. She wore a wonderful dress of Immacle and the makeup of Laia Martin. The magic of this elopement was that in the middle of the ceremony began a great storm and far from canceling everything was followed with their votes under the rain.